Buju Banton spent much of his time reflecting and writing songs while incarcerated, according to his producer, former manager and close friend Donovan Germain. Buju was spotted in a studio with Jamaican producer Steven “Lenky” Marsden on Sunday, just days after he returned to Jamaica after serving a 7-year sentence on drug-related charges at the McRae Correctional Facility in Georgia, U.S. Fans have been eagerly awaiting new music from the beloved entertainer, but Germain, Dalton Harris’ manager, said it is too early to predict the kind of music fans can expect from the reggae legend. 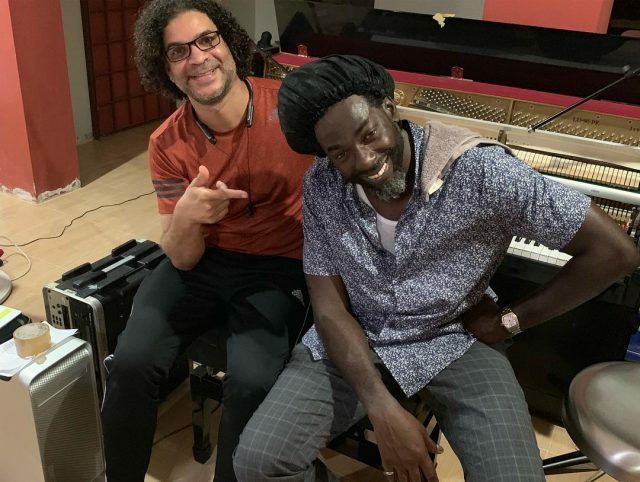 On the night of his return to Jamaica, Buju said he had ten years rest, and he is ready to start working now, a reply to Germain who told the reggae icon that he needs to take two weeks off before recording new music. Buju and Germain have collaborated on some of Banton’s most popular songs to date, including Up Close and Personal, Champion, Destiny, Have to Get You Tonight and How the World A Run. Germain also reveals that Buju Banton’s first show will be in Jamaica March 2019 before his highly anticipated concert in Trinidad and Tobago set for April 2019.